These are brand new decals for the air cleaner assembly on Scout II, D-series pickups and Travelalls, and some Scout 800 vehicles, as well as Metros. 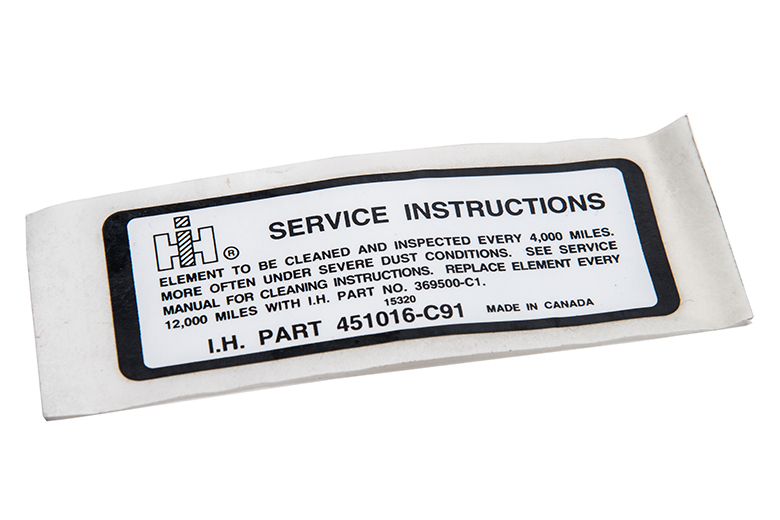 This is the decal that gives the directions for proper servicing of the air filter. This decal may have been used on other IH trucks. If it looks like the one you have on yours, then it is the same. This decal should be a part of any respectable restoration. Get one today in time for the summer shows!